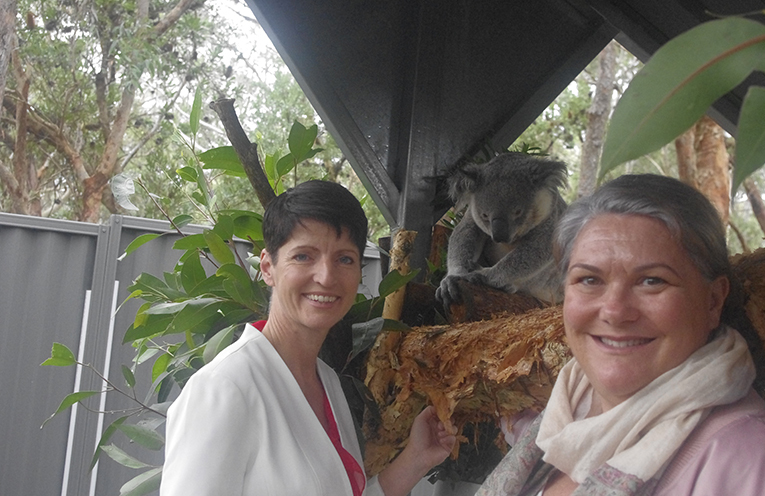 Kate Washington with Meryl Swanson with Tolley at the Port Stephens Koala Hospital at One Mile Beach. Photo by Marian Sampson. PORT Stephens Koalas are keen to share the completion of Stage One of the Koala Hospital at One Mile Beach with the community. Funding attained through the State and Federal Government has seen the stage completed. The fenced pens for koala rehabilitation are up and running with some rather gorgeous residents enjoying their recuperation. Carers and leaf gatherers are very appreciative of the new storage space for the koalas feed leaf. Fresh leaf is gathered continually to ensure that the koalas in care have a fresh supply with a variety of leaves on offer. 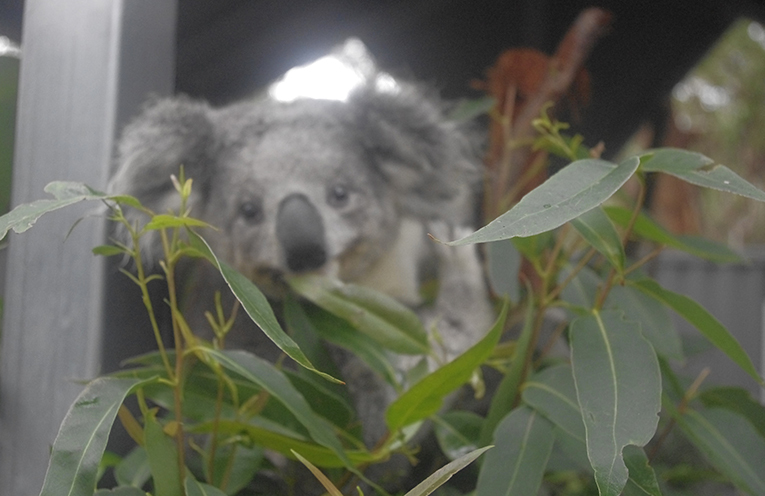 Port Stephens Koalas will need one tonne of fresh leaf every two days to care for 15-18 koalas. The work completed is just the start of the vision that is coming together at Council’s Treescape at One Mile Beach and the recently pledged $3 million dollars in funding for the hospital and care facility will see the development of a sustainable tourism enterprise which will eventually sustainably fund the care of sick and injured koalas in Port Stephens. He believes our koala population is in crisis with only 400 left in the wild. 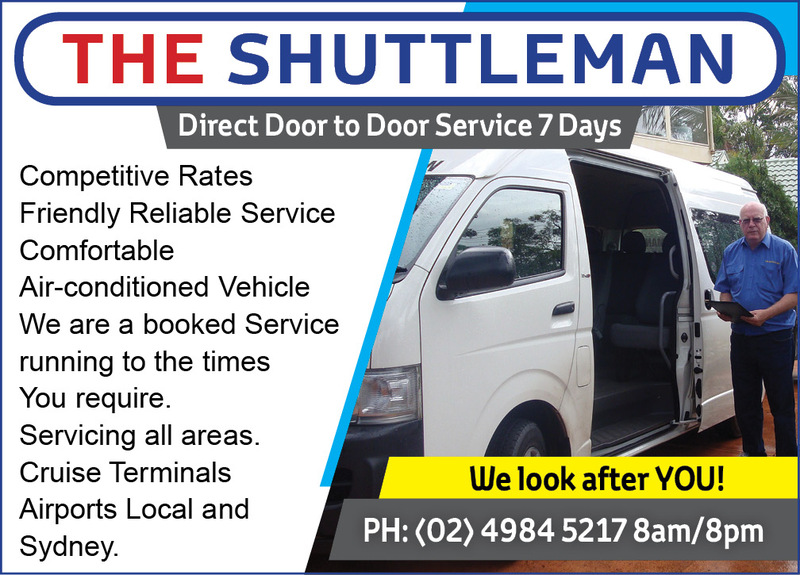 She believes that it is facilities like this which will ensure our grandkids can see koalas in the wild, it is a strong investment in our future both ecologically and environmentally. “I am enormously grateful to the hard working Port Stephens Koalas volunteers,” she said. The work to date has been in the majority funded by a $124,000 grant from the State Government attained through Kate Washington and a further $13,283 from Meryl Swanson MP. 2. Maree a young blind female koala in one of the care pens at the Port Stephens Koala Hospital. Photo by Marian Sampson.